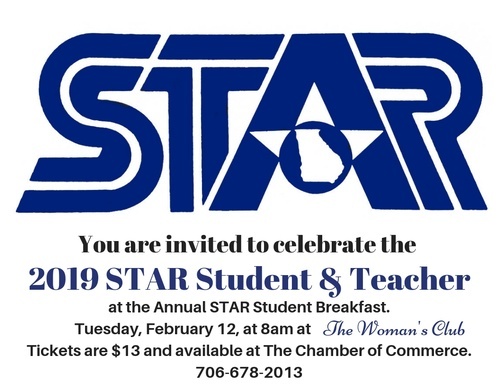 Join us Tuesday, February 12, at The Woman's Club for breakfast as we celebrate the 2019 STAR Student and Teacher. Tickets are $13 and available now at the Chamber of Commerce. Congratulations to this year's STAR Student Johnathan M. Ramirez and STAR Teacher Mr. Tyler Moon. WELL DESERVED!